Are you living an extraordinary life? Do you feel like anything is possible and that you can create your own destiny? If you have pondered​ ​these questions and want to gain the tools to create your dream yoga business, then this program is for you. Discover your full potential during our 200 hour Yoga Alliance accredited yoga teacher training immersed in the beautiful birch forests of Läyliäinen, Finland. This 200 Hour Yoga Teacher Training, spread over 17 transformational days, is an extraordinary opportunity to deepen your practice, discover the tools you need to take your yoga-focused business to the next level and touch the hearts and minds of those around you. It is an empowering journey of self-discovery and fantastic personal and spiritual growth through an immersive learning process. Learn yoga in the framework of the Happy Jack Yoga philosophy and gain accreditation from the largest yoga alliance in the world. You will leave with the power to lead with passion and the confidence to truly live your dream. 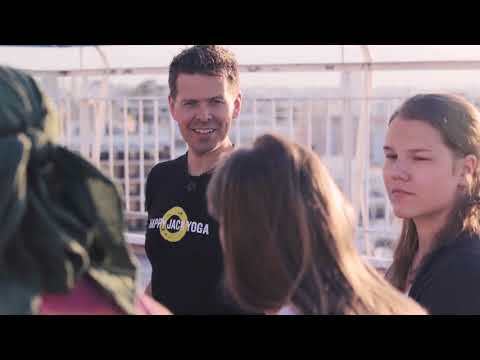 Connect more deeply with your students as you guide them through their practice and create a powerful yoga experience for them and for yourself. 10% discount for teachers who have previously completed a 200-hour YTT program. 10% discount for enrolling with a friend! You and your friend will both receive the discount. I am thrilled to invite you to join us for a truly transformative experience in the Nordic beauty of Finland! Finland is the birthplace of my mother as well as my partner Hanna, and always considered my second home. We have facilitated multiple yoga retreats and yoga teacher training programs at this location, and are ecstatic to be returning again for the midnight sun next year! In addition to our amazing curriculum, get ready for some extraordinary Finnish cultural experiences that you will never forget! We will dive into the transformative and healing practices of Yoga while experiencing the Finnish lifestyle. This program will change your life.